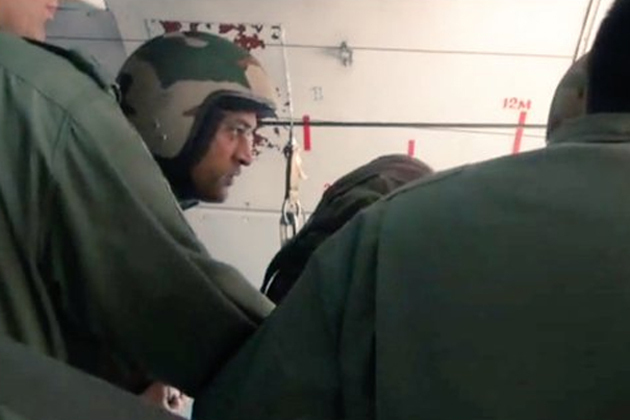 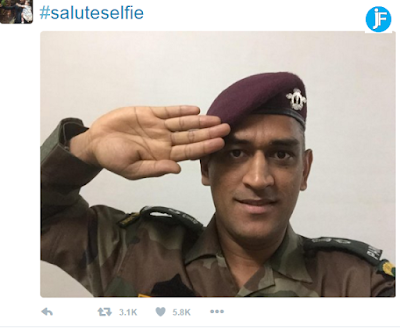 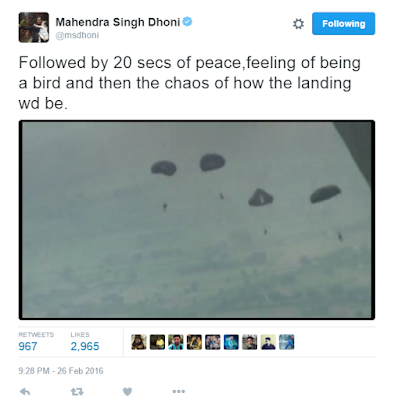 Indian Cricket team Cool Captain and honorary Lieutenant Colonel Mahendra Singh Dhoni who in August last year had completed his first para jump from the AN 32 aircraft from an approximate height of 12,000 feet, took to Twitter to post some pictures about his experience. 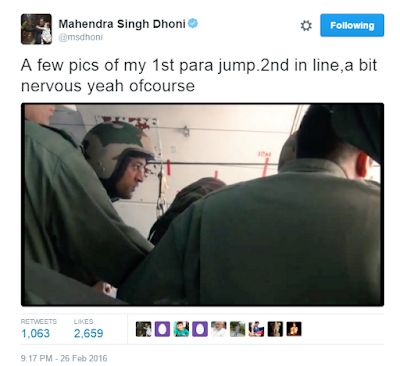 In a series of tweets, posted by Dhoni a couple of days back, he explained the entire event and how initially he was nervous about going for it. 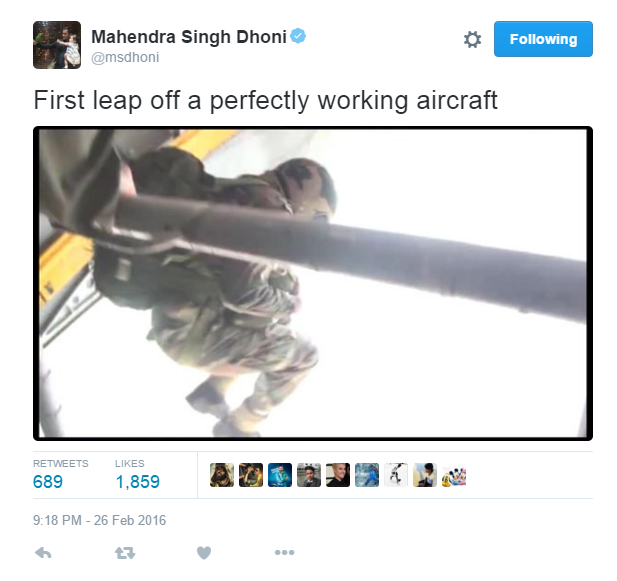 Dhoni undertook a rigorous military training for four weeks and made five jumps from a height of 10,000 ft from AN-32 warplane to earn the badge. 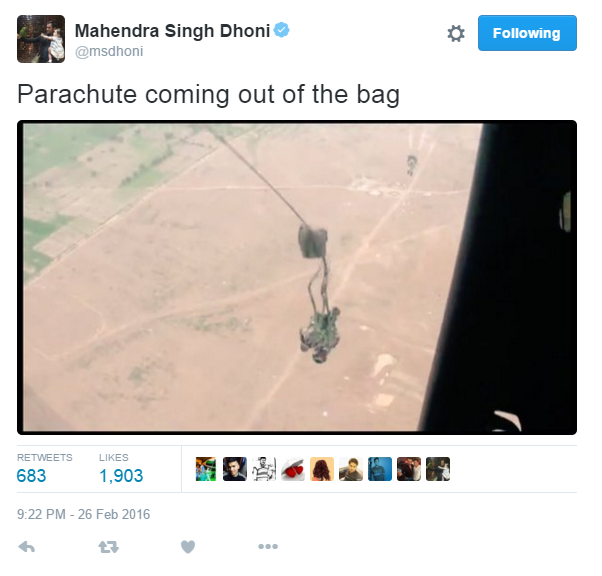 After the four-week training in Agra, Dhoni was fit to carry out para jumping. So this was all about Lt Col MS Dhoni tweets pictures about his first jump from an IAF Aircraft . 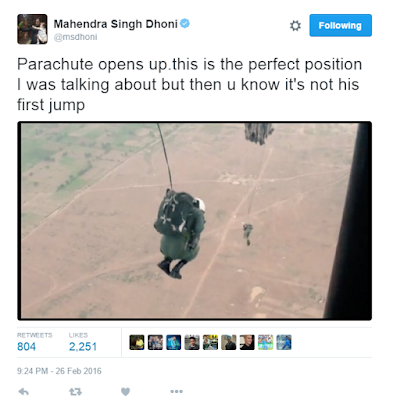 Hope you liked our article. Share with your friends. 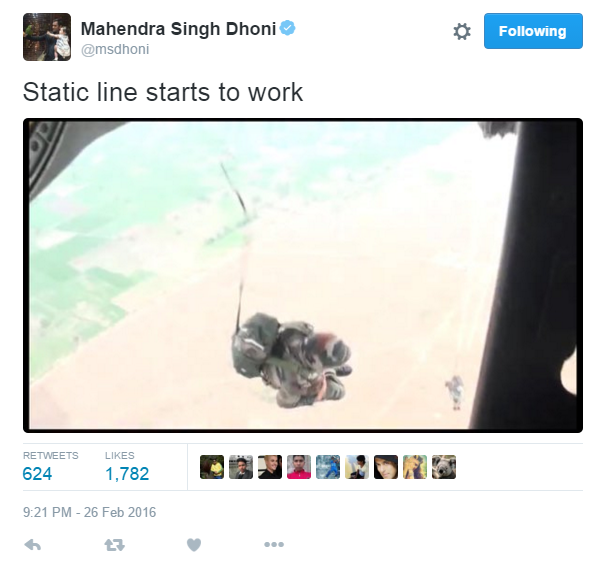 Keep following us for more articles.